The Board of Directors of the Tourism Development Company of Trinidad and Tobago Limited (TDC) have announced the appointment of Keith Chin as the organization’s new Chief Executive Officer. Chin has over 32 years of experience in middle and senior executive management roles at several private and public sector organizations. His extensive work profile includes business planning and development, corporate and strategic planning, marketing, human resource and general management. Noble House Hotels & Resorts has announed the appointment of Patricia Handjaja to Chief Financial Officer. In this new position, Handjaja will be responsible for managing financial risks, analyzing data, and supervising the finance unit for Noble House Resorts & Hotels, while also providing support and leadership as Noble House continues to expand. Handjaja gained her hotel and resort knowledge starting as a corporate accountant for Noble House in 2001. From there, she went on to hold titles including director of finance and accounting, and VP of finance, accounting and tax. She earned a Bachelor of Science degree with a concentration in chemical engineering from the University of Washington where she also became a certified program accountant and later went on to become a certified hospitality account executive. Pleasant Holidays has announced the reorganization of its sales team with four strategic appointments. The reorganization is part of the company’s long-term strategic plan for revenue growth for each of its four brands (Pleasant Holidays, Journese, Pleasant Activities and Air by Pleasant) and its travel agency partners. Kim Daley will lead the team as the senior vice president sales strategy. Previously the vice president & managing director of the Journese luxury brand since 2010, Daley is now responsible for sales for all Pleasant Holidays brands. Key focus areas for Daley include growing existing relationships with national account partners and strategic growth through new business acquisition. 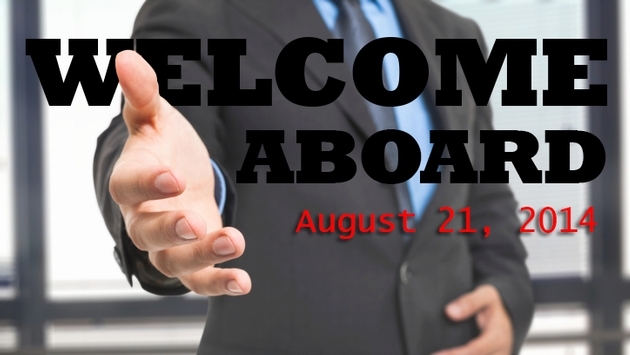 Jeff Pettus, senior director of sales, will lead the activities of Pleasant Holidays’ nationwide team of business development managers (BDMs) as well as the inside sales support team. 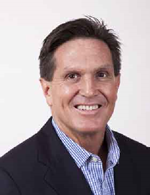 Pettus will focus on selling all brands to all retail travel agencies with targeted strategies for home based agents. As director national accounts sales, Chanda Vudmaska will concentrate on expanding key relationships with national account travel agency partners, working to enhance Pleasant Holidays’ position as a preferred supplier. Brand Director for Journese, Amy Comparato expands upon her former role as senior brand marketing manager for the luxury brand. Comparato will be responsible for the day-to-day management of sales, marketing, e-commerce and relationship management with key travel agency partners in the luxury travel segment with special attention to sales growth, product development and profitability. Highgate Hotels has announced that Paul McElroy has joined the company as vice president of construction. He will be overseeing renovations to the Pacific Beach Hotel and the Ambassador Hotel, two Waikiki properties owned by Highgate Hotels. He will also be involved in all future Hawaii development projects. McElroy brings 13 years of hotel project management experience to this position. 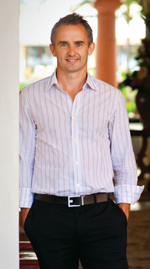 Prior to joining Highgate Hotels, McElroy was vice president of development at Trinity Investments, which owns the Makena Beach and Golf Resort and recently owned the Kahala Hotel and Resort. Before that, he served as vice president of design and construction for Kyo-ya Hotels and Resorts where he oversaw all major renovations and redevelopments at its four Waikiki properties, the Sheraton Maui Resort and Spa and the Palace Hotel in San Francisco. Hawaii Business Magazine recognized McElroy as an exceptional young leader with its “20 for the Next 20” award. He also serves on the board of directors for the Waikiki Improvement Association. The Alfond Inn has announced the appointment of Jesse E. Martinez as the new general manager of the 112-room boutique hotel, located in Winter Park, Florida, the historic town outside of Orlando. Mr. Martinez joins The Alfond team at an exciting moment as the hotel marks its first anniversary and a year of remarkable accomplishments. Martinez is a seasoned management professional with 16 years of hospitality leadership experience in luxury and convention business, with an extensive background in hands-on management of multiple hotel operation departments. His experience with luxury boutique properties and his ability to manage the demands of meetings and conventions make him the ideal person to lead The Alfond Inn team into its next phase as one of the top boutique properties in greater Orlando. 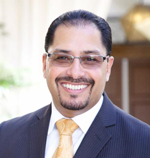 Martinez has served in upper management positions with four of the AAA Four Diamond Autograph Collection Hotels, including The Castle in Orlando; Bohemian Hotel Savannah Riverfront in Savannah; Bohemian Celebration in Celebration; and Grand Bohemian in Orlando. He has served as General Manager of DoubleTree Suites Huntsville-South in Huntsville and was most recently general manager of the Hilton Garden Inn East/UCF Area in Orlando. The Plantation on Crystal River has promoted Michael Mancke to general manager of the 196-room resort. In this position, Mancke is responsible for directing all departments, operations and revenue management at the 232-acre property. 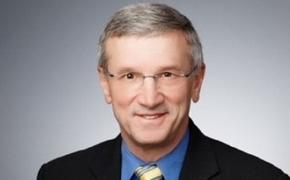 Mancke has been with the property since 2011 as director of sales and marketing. Mancke follows Andrew Bartlett, who served as the Plantation’s general manager for three years and is now general manager of the Harbor View Hotel, another Scout Hotels property located on Martha’s Vineyard. Prior to joining the Plantation, Mancke was director of Florida sales for Miles Media Group, an innovative publishing partner for destinations, providing integrated online and print solutions. At Miles Media, Mancke managed the VISIT FLORIDA sales team, which serviced all in-state destination marketing organizations and tourism-related business. From 1985 to 2007, Mancke worked with a number of national hotel and resort companies, including ARAMARK Harrison Lodging/Parks & Resorts, Boykin Hotels & Resorts, Interstate Hotels & Resorts, MeriStar Hotels & Resorts, and South Seas Resorts Company. Rosewood Hotels & Resorts, the premier manager of renowned luxury hotels and resorts across the globe, is pleased to announce that Marc Jason Geller has been appointed corporate director of marketing. In his new role, Geller will be responsible for the development and execution of all Rosewood Hotels & Resorts marketing initiatives. Geller joins Rosewood with more than 16 years of experience in the marketing industry. Most recently, he held the position of creative services and marketing specialist at Creative Chapeau in New York City for three years. Previously, Geller spent 12 years at the prestigious AgencySacks in New York City, where he developed successful strategic and creative marketing campaigns for luxury and top-tier brands including Rosewood Hotels & Resort; The Peninsula Hotels and Taj Hotels, Resorts and Palaces, among others. Scenic Cruises has hired travel industry veteran Richard Hickey to serve as business sales director for the US Southeast Region covering Florida, Georgia, the Carolinas, Alabama and Tennessee. Hickey will be responsible for leading the growth of sales and travel agent support in (states) for Scenic Cruises and its award-winning river cruises. Hickey has been working in various positions for several major travel companies throughout his 26-year travel career. He began with Norwegian Cruise Lines and has been both involved with both inside and field sales efforts for Disney Cruise Line, Club Med and Oceania. His latest job was as manager of national accounts with MSC Cruises, where he was responsible for negotiating contracts as well as creating and implementing the company’s marketing plans.